The other day we decided to re-do our layout of the kitchen. It’s in “planning” stage still, but now we have it knocked out as to best functionality of it with space considerations taken. We decided to move the refridgerator so that it’s the first thing on the left when entering the kitchen via the left enterance, the one near the steps to upstairs. Actually not the FIRST thing, but a small broom closet will be there first, THEN the refridgerator, in actuality. We moved it there and put the 70″ length of cabinet that we have right next to it for now, with a 15″ space on the left of the refrigerator for the “broom closet”. One of these days we’ll have new cabinets to install into the kitchen and all the old stuff will be divided between going into the laundry room and garage and junked. We’ve planned a Double-L-kitchen for awhile, but now have decided to do an L-kitchen with a square or rectangle island floating next to it. The biggest deal about the whole thing is countertops. We don’t know what we’ll be doing. I know what I would do if we could, but doubt we can do solid surfacing. I’m almost thinking of doing tile on the long L where the sink will be, and an oak counter from IKEA on the short L. But then as for the island, I don’t know … but it’s all up in the air in the first place … nothing nailed down about it until we are at the point to be able to get things going to make a countertop decision. We are still in the middle of our “kitchen re-do” … with nothing much going on except for adding a window where the French Doors used to be, and getting ready to put in sliding doors on the other end of the kitchen, our to-be-new-access-to-out-back. I’ve wanted a dishwasher for awhile, not having one since we ripped the old one out, it leaked from day one and I dis-liked it more than I can say. It was a Kenmore cheapy, installed by the builder. Anyhow, things were hard, hand washing dishes, with our kitchen reduced in functionality in other ways, not just the dishwasher. We moved things around more in 2006 a couple of times and it’s a bad arrangement at best, but better than being the wrongly laid out one that was installed when the house was built in 1997. I’m pregnant, 19 weeks, and it was a mute point in the first tri-mester, but since about 12 weeks and further, it’s been harder on me to have this kitchen and all that is in it and all that isn’t in it. Not long after we took the dishwasher out, seems so long ago, I mentioned to DH that I’d like to get a decent portable dishwasher. It was a discounted idea due to cost, so I let that idea go for a bit. Recently I started talking about it again, and DH was willing to consider it and we were able to do something about it. We spent this week thinking about it and looking at a couple of stores, then getting online and researching it more thoroughly. I wanted a black dishwasher, but we couldn’t find a good model available anywhere. And not just that, the white on white version didn’t seem to be available anywhere either. A Best Buy store had one as display, and said they didn’t have any we could “pick up” anywhere, new. But he was willing to sell us the demo unit. He said over the phone it was the white version of the model we were looking for, and was in good condition, had everything and was new, really. DH went to the store and they gave him the run-around … it had a big dent in the side and was missing documentation and the coupling thing that screws onto the faucet, needed to couple the hose unit to the faucet. They came down to $375 for it, so he walked out. So now we have a nice dishwasher in our not very nice kitchen. It is big, standard size, freestanding, and will be something we can bring away with us when we move. 🙂 Also, I’ll have two dishwashers to work with, when we get the kitchen finished there will be one installed. THAT is the functionality I’ve always wished for. Our model is GSC3400, White on White. It’s working wonderfully thus far. It’s not noisy, the noise it makes is quite soft, it’s just much louder when it empties the dirty water, since it’s being dumped into the sink, seeing as it’s a portable hook-up situation. Compared to my past, the old dishwasher was very, very noisy, and any dishwasher in an apartment I’ve been in was very, very noisy too. Since we have a dishwasher now, my hubby had to get Cascade for it, and went to Costco this afternoon after an appointment. While there he called me to make sure he got the right thing, and I had him look at the French White Corning Ware set which I’ve had my eye on for a while. He found it and agreed to purchase it for me, my thinking being we needed it and now it makes sense to get it since the dishwasher will make it a dream to use the cookware. This new set is full of good sizes and shapes, and some little things that I never had, and the design is updated from what we had from 1992. For one, there are plastic lids for some of the casseroles, and that’s useful. Another is rammikins, I have always had two with lovely painting of fruit inside, not Corning Ware, and I cherish them and hated to use them as I have all these years. Now I have others and will be able to add to the group so I can have enough for desserts, and to use with my cooking –to have things pre-done and ready to put things together, in a very nice way. This is my first post on this blog since late 2005. I closed it down, intending to move posts from here to my other blog, not all, just some, and started working on it via a MySQL text file, but became thoroughly worn out by the enormity of the job that I quit and kept promising myself to pick it up again … but haven’t at all. I’m re-orienting some things on my websites, getting ready to upgrade to WP 2.1 soon, and decided to do a quick update of WP 2.0.7 here first, and get this blog situated with plugins and theme, etc. again, whether or not I’ve moved posts out. In my work I deleted the theme folder that was my default here, accident of stupidity, so I’m working on seeing if the theme I’m using right now, Basic2Col, will suffice to be built on how I wish. I had pages with their own templates and so they are lost, not the pages, just the special set-up of them. Photos on this blog are a big mess. I’ve used more than one method to include them over the years. Sometimes just uploading one to the server here and including it’s img src path in a post, sometimes just like that, or sometimes with a “div” around it (and this ‘div’ way is proving troublesome for this current theme.) I also used the Exibit plugin for awhile and want to undo all that, and also used PicAsa plugin which I don’t mind, and just didn’t use it much. I do have Flickr now, and did post something via the “blog this picture” interface, but not much, if more than one photo here. I see that while looking through the last few pages of posts on my blog front I used to post a lot more than I do on my other blog, which is what I’ve used to post on since stopping posting here. I have always meant to have the two with distinct differences of myself used for each. That didn’t always work out, I felt, but do think it did somewhat overall. Right now I’m re-thinking in my introverted self way, and trying to untangle the mess of how my blogs seem to be to me. I used to post here a lot more often than I did the other blog, when they were both running at the same time. That other blog was my first, hosted firstly on blogspot, then moved to my own domain ASAP. I started this blog not long after I started that other one, but this one was also a blogger post, and not hosted here, but on my ISP website which I then had. I moved this to my own domain when I moved the other. So anyhow, this blog seems to have been my more social-online version of me, and the other the moreso T part of me, but not that I left T me off of this one, but far. I guess I have felt more comfy on this one, and tried to be more T-oriented on the other, but didn’t much show it. I had a photo blog, and that content is lost, how I had oriented it. Sure I have pictures elsewhere, but not the way I had arranged them and commented on them, and such. I also had pages for my children, picture of them, pictures they drew, and other content of interest to them or me about them. 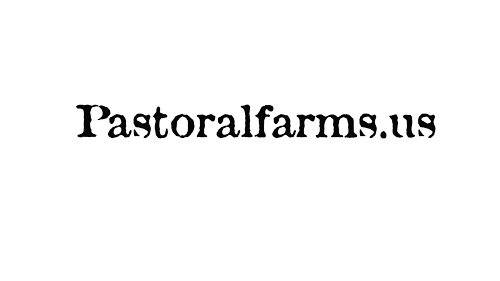 I had some articles on Agrarianism hosted here, then moved them to a new domain but never got that domain up and running, losing steam on the project. I had lots of stuff about my hennies here too, and other stuff. I had started a secondary blog or two about Education and something or other else that I can’t recall, but then thought I’d be abandoning that format and putting it into this blog with the advent of Page in WP and I just didn’t do that. I’ll try to do more. I really will. I have already, in the form of Theme and Plugins, so I will try to keep up with moreso Social posting at least, and see how WP 2.1 is about aiding me in moving out some posts to my other blog more easily than taking my post’s SQL file and sifting through it. A side project is Categories. Here they are a huge mess, and on the other blog I have very few and some need changed out for others, and more added. I used to be more “gung-ho” about making links to things on my sidebar and categorizing things to the nth degree here. I’d like it to be more simplistic and have to think about that as well, for both blogs. Ugh. Overwhelming. Now then, I still need to move my custom blue Smilies to this blog, they are here, no doubt (I hope! or else I’ll have to download them from my other blog and upload them here first and then will), just need to re-add them to the WP file that codes them.